All is in the Library page. Hank Crawford (as); David Newman (ts, fl); Paul Griffin (p, el-p); Eric Gale (g); Ron Carter (el-b); Bernard Purdie (d); Arif Mardin (arr, dir); Gene Orloff (strings cond); Bernie Glow, Joe Newman, Ernie Royal, Snooky Young (tp); Jimmy Cleveland, Benny Powell (tb); Frank Wess (as); Seldon Powell (ts); Pepper Adams (bars); unidentified strings. 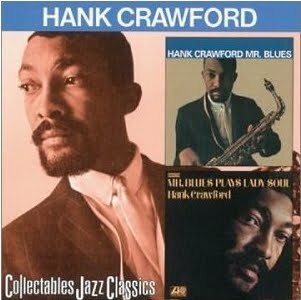 Hank Crawford has been an alto sax sensation since he stepped out of the Ray Charles band back in 1963. A signature piercing, full bodied, blues, soul, and gospel drenched tone, sets him apart from the alto pack. He has an instantly recognizable voice, and his excellent choice of material suits his style perfectly. He is a bluesman turned preacher on the sax, and the sermon is always on time. Bennie Ross Crawford Jr. was born in Memphis, Tennessee on December 21, 1934, began formal piano studies at age nine and was soon playing for his church choir. His father had brought an alto saxophone home from the service and when Hank entered high school, he took it up in order to join the band. He credits Charlie Parker, Louis Jordan, Earl Bostic and Johnny Hodges as early influences. At school, he hung out with Phineas and Calvin Newborn, Booker Little, George Coleman, Frank Stozier and Harold Mabern–all of whom would go on to become important jazz figures. “We had a pretty good education just by being around each other,” Crawford says now. Before he had finished high school, Hank was playing in bands led by Ben Branch, Tuff Green, Al Jackson, Sr. and Ike Turner. They were frequently called upon to back such up-and-coming blues singers as B. B. King, Bobby Bland, Junior Parker, Johnny Ace and Roscoe Gordon and the Palace Theatre, the Club Paradise and other Memphis venues. In 1953, Crawford went away to Tennessee State College in Nashville where he developed his arranging skills as a leader of the school dance band, which included vocalist Leon Thomas. During the evening, he led a quartet called Little Hank and the Rhythm Kings. Discovered one night at the Subway Lounge by country producer Roy Hall, the group cut “The House of Pink Lights” and “Christine” for a local label with Crawford as featured vocalist. When Crawford left Ray Charles in 1963 to form his own septet, he had already established himself with several albums for Atlantic. From 1960 until 1970, he recorded twelve LPs for the label, many while balancing his earlier duties as Ray’s director. He released such pre-crossover hits as “Misty”, “The Pepper”, “Skunky Green”, and “Whispering Grass”. After signing with Creed Taylor’s Kudo label in 1971, he cut one album a year over the next eight years. At Kudu, Crawford wasn’t allowed to write his own charts and was instead handed lavish arrangements in the then-fashionable CTI crossover mold. He still managed to come out with consistently quality work. 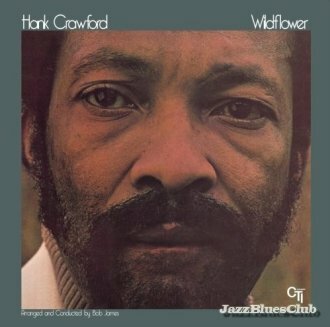 Crawford returned to classic form upon signing with Milestone Records in 1982, playing alto saxophone and often writing in the soulful manner that first made him famous. Some of his albums for the company–Midnight Ramble, (’82)Indigo Blue, (’83) Roadhouse Symphony, (’85) Night Beat, (’88) Groove Master,(’90) and South-Central. (’92). 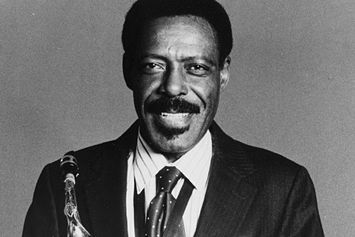 In 1986, the saxophonist began working with blues-jazz organ master Jimmy McGriff. These are soul jazz played the way it should be, like going to school, it doesn’t get any better. They recorded four co-leader dates for Milestone–Soul Survivors, (’86) Steppin’ Up, (’87) On the Blue Side, (’89) and Road Tested, (’97) this duo also performed numerous club dates and concert dates in the U. S.
The new century found Hank Crawford, shifting gears and going for a more mainstream jazz set in his 2000 release “The World of Hank Crawford.” Though the songs are compositions from jazz masters as Ellington and Tadd Dameron, he delivers in that sanctified church sound that is his trademark.